What a better gag gift then this funny ceramic ring mug. Comes packaged in jewelry style black box. 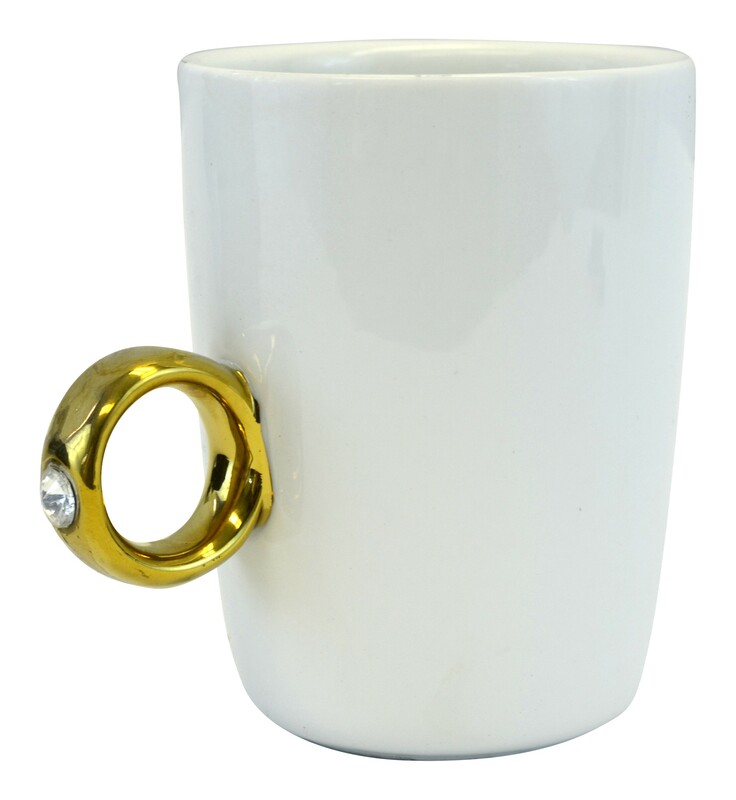 Mug can be used with both hot and cold beverages and handle is made in shape of a gold ring. Hand was only.